I was wondering why all the birds took off from the feeders in a flurry, then I looked around outside the window and saw a Northern Shrike. This bird is also known as the Butcher Bird because of their habit of impaling their prey on thorns. This bird is classified as a songbird, but his beak says different. Look at the hook on its’ bill, that’s used to tear flesh. 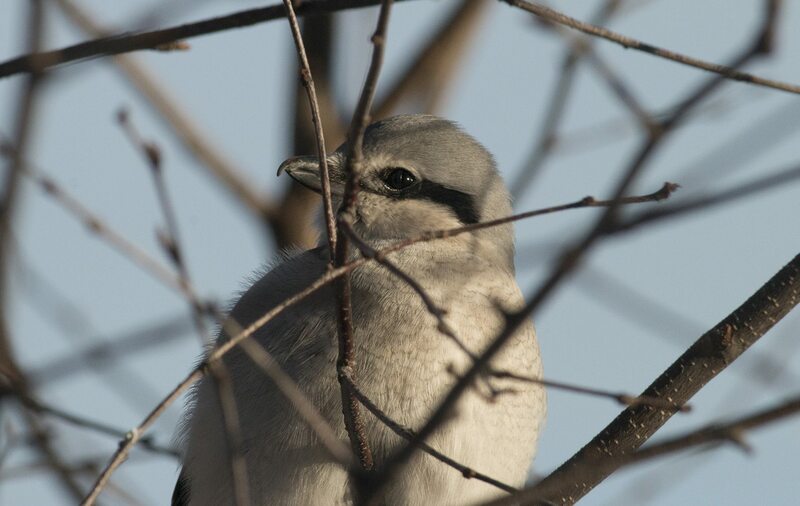 The Northern Shrike mainly hunts small rodents, but they will take other birds. Even birds as large as Pine Grosbeaks. Here is a link to an interesting article about how birds stay warm in the winter.